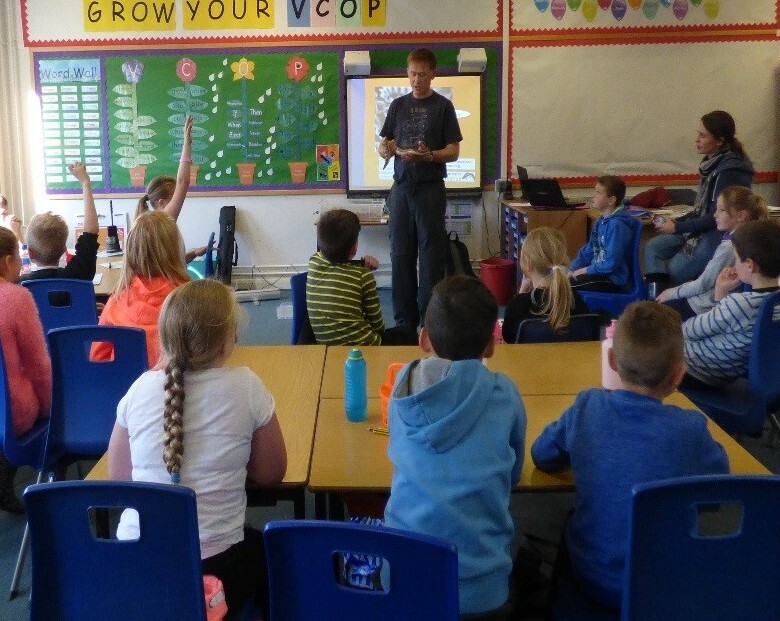 At the start of 2015 the CEI ran an exciting new Peatbog Star Species education programme to primary schools in the coalfield region of East Ayrshire. Primary 4, 5 and 6 pupils of New Cumnock, Auchinleck, Barshare. 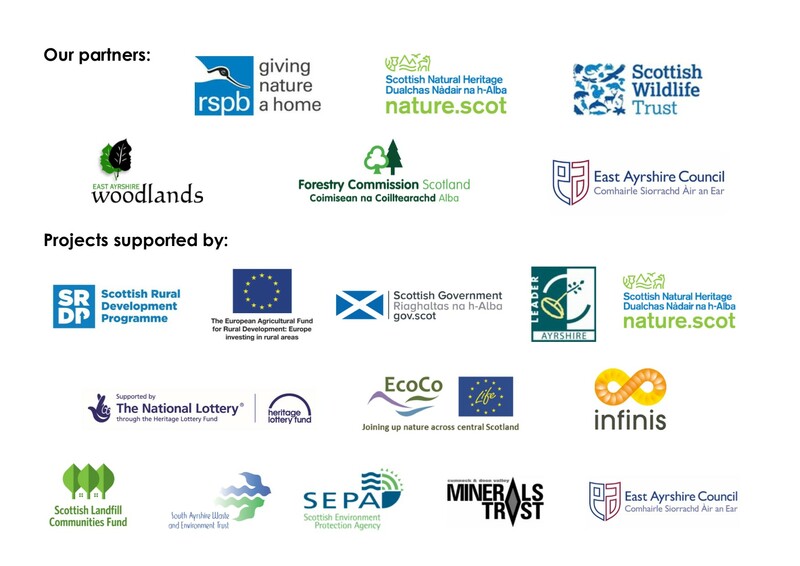 Muirkirk and Patna were given the opportunity to champion ‘star species’ of the rare peatbog habitat in East Ayrshire; learning from wildlife experts, meeting their species and raising awareness of what can be done to protect them. The project will culminate at the end of the year with a public art display placed in the community – showcasing the children’s art work, demonstrating what they have learnt about their species and what can be done to protect them. 26 Primary 5 pupils from New Cumnock Primary learnt about their star species, Sphagnum Moss, from the CEI’s Daisy Whytock. But what’s so interesting about moss right? Pupils were amazed to learn about the moss’s amazing super powers; it never stops growing, can absorb 20x it’s own weight in water and has preserving powers! 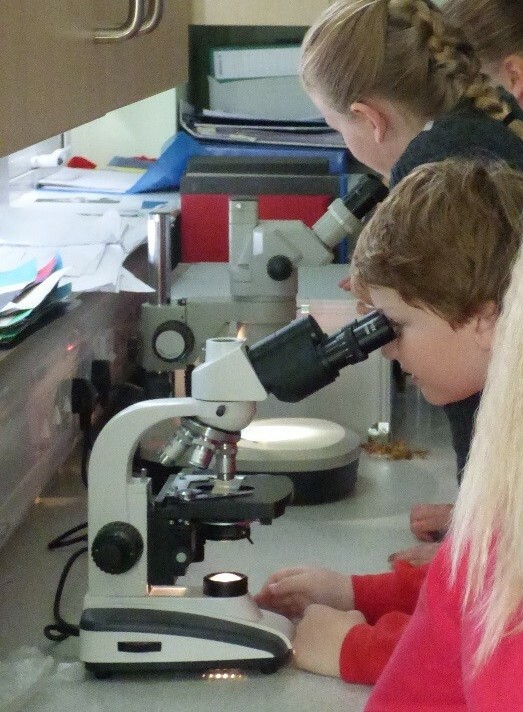 Children then put it to the test with an experiment to find out how much water sphagnum moss can hold followed by a look down the microscope to see the plants water-storing cells and the microscopic organisms that live on the moss! 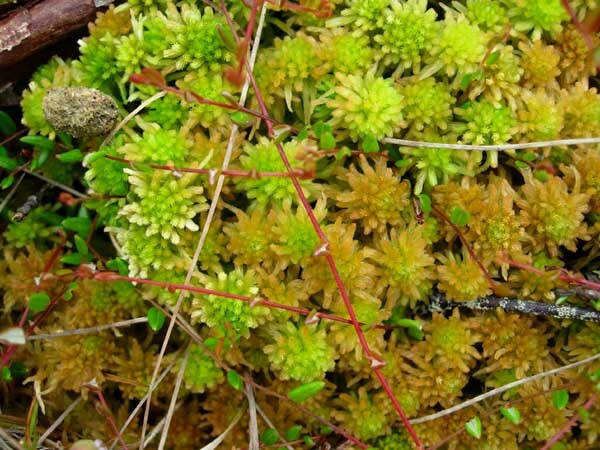 Sphagnum Moss – you da boss! 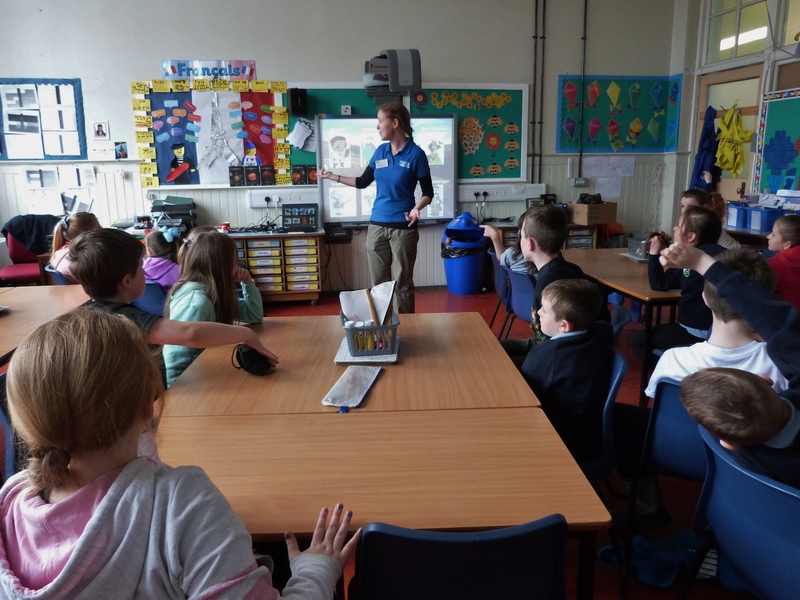 Primary 5 pupils from Auchinleck Primary were very excited to learn about their star species, the Adder, from expert Pete Minting of the Amphibian and Reptile Conservation Trust. (ARC Trust). Pete introduced the Adder through an interactive presentation before looking at an Adder skin up close under the microscope. 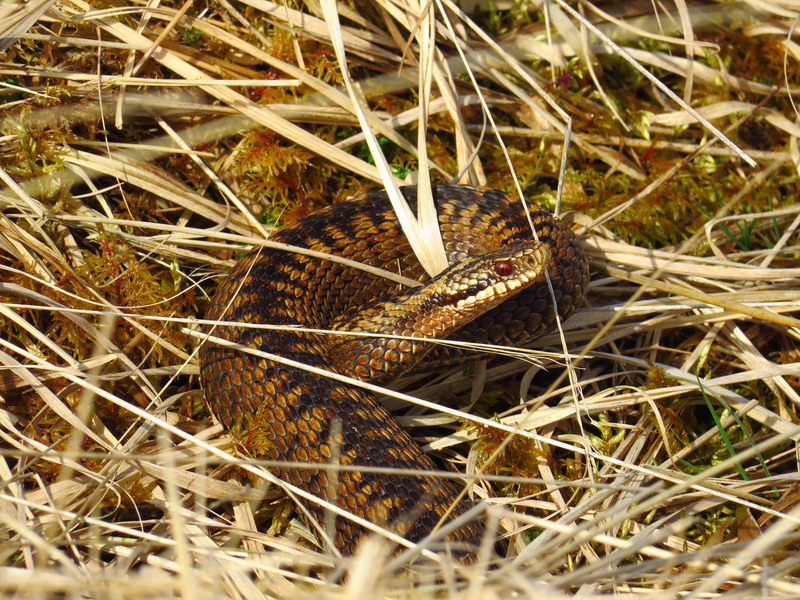 Did you know Adders can be identified by their unique head patterns? Newts can also be identified by the unique patterning on their bellies! The pupils were set to the challenge of a game of ‘Newt snap’ to try and match the belly patterns as fast as they could! 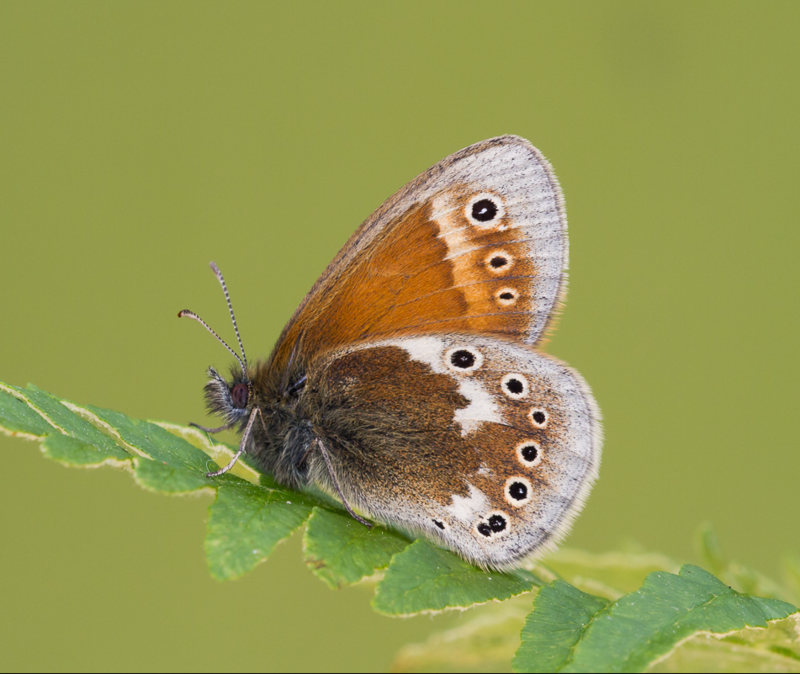 27 pupils from Barshare Primary were introduced to their STAR Species of the bog, the Large Heath butterfly, by expert Dr Scott Shanks from Buglife. 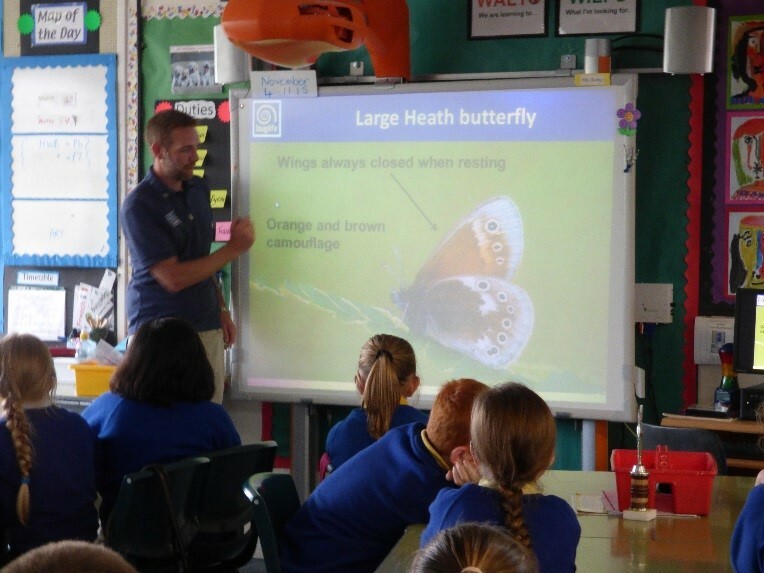 Pupils learnt about how to identify the butterfly, its life-cycle, what plants it needs to survive and lots of fascinating facts like did you know butterflies can taste with their feet? This helps them to identify which plant to lay their eggs on. Then the class were introduced to some of the things they might find on a bog such as moths, harvestmen, owl pellets and adder skins. 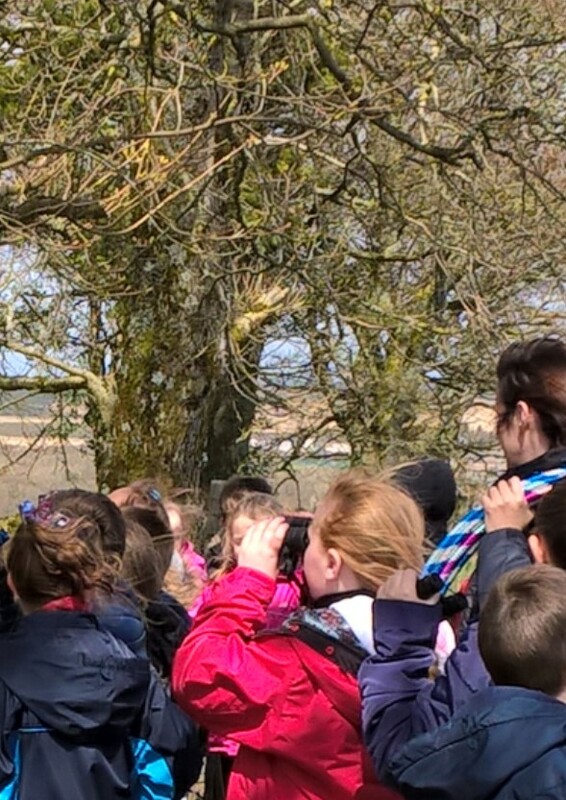 21 pupils from Muirkirk Primary were introduced to their STAR species of the bog, the Hen Harrier, by Katie Saultie from RSPB Scotland. Katy told them all about this magnificent bird through a series of interactive games and activities which explained how they survive in their peatland habitat and why they need protection! Children got to act out the Hen Harrier’s food-pass; when the male passes food to the female mid flight! (children discovered this was not easy when stood still!) 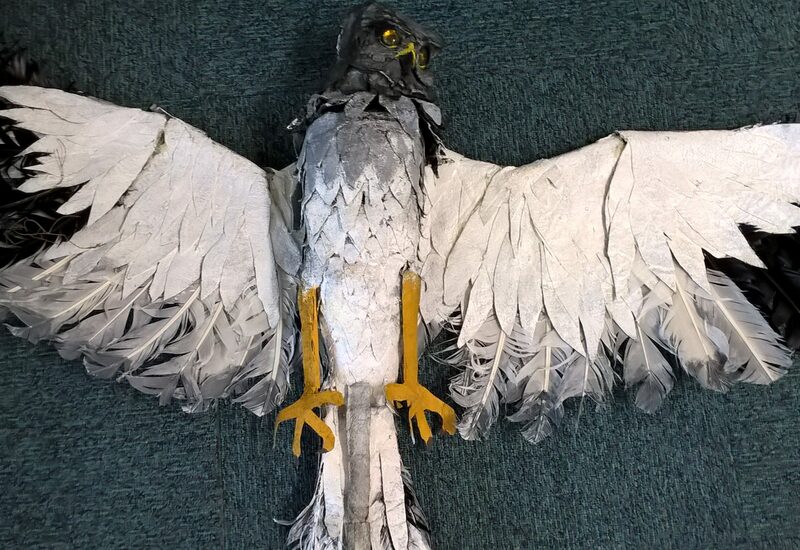 The life-like Hen Harrier puppets demonstrated the difference in colour between the male and female bird; the female a mottled brown and male a light blue/grey, so that both are suitably camouflaged for their environment! The class then got a surprise from PC Graeme Gordon who told them all about wildlife crime and the threats that hen harriers face from people. 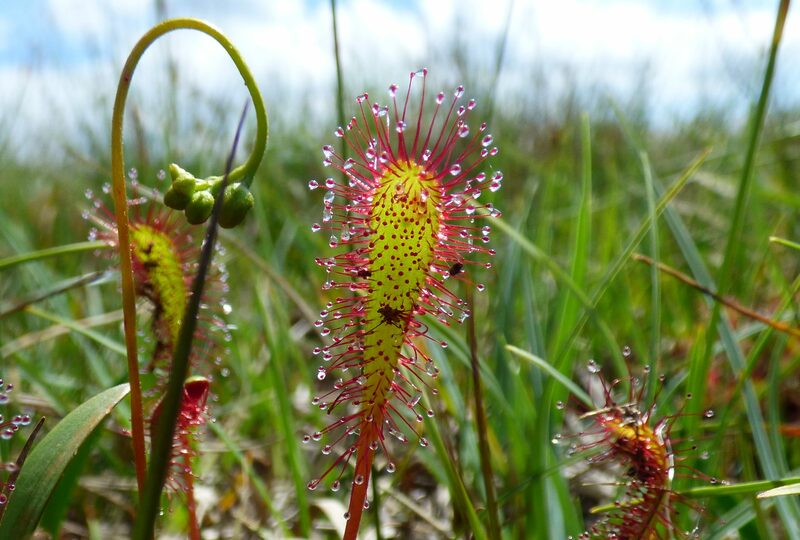 21 pupils from Patna primary were introduced to their very sticky Star species, the carnivorous Sundew! After learning about the 3 different species of Sundew the class got to make their very own ‘ sundew spotter sheet’ to help them identify them when out in the field. The class became sundew experts and learnt all about their carnivorous life-style to adapt to the low-nutrient environment of the bog. The glistening dew-like droplets on the end of their bright red tentacles attract passing insects… but the droplets are infact super-glue like sticky traps which once an insect gets stuck to are impossible to escape from! 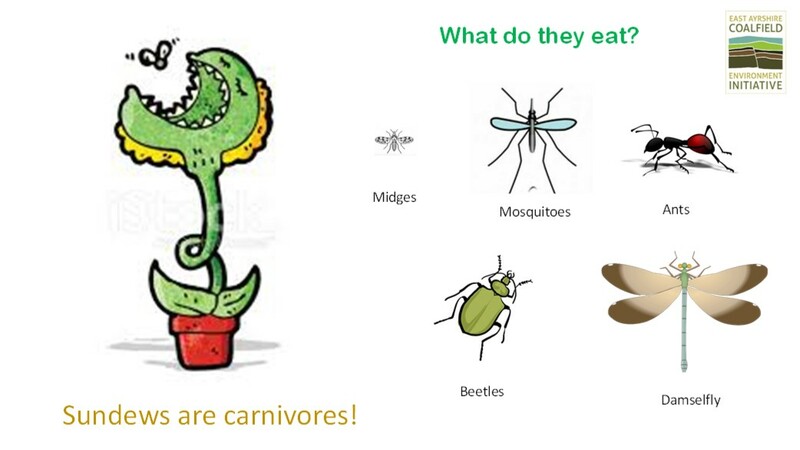 The plant then slowly folds over its struggling prey and using enzymes turns the insect’s insides into a nutritious soup which can then be digested by the plant… yum yum! 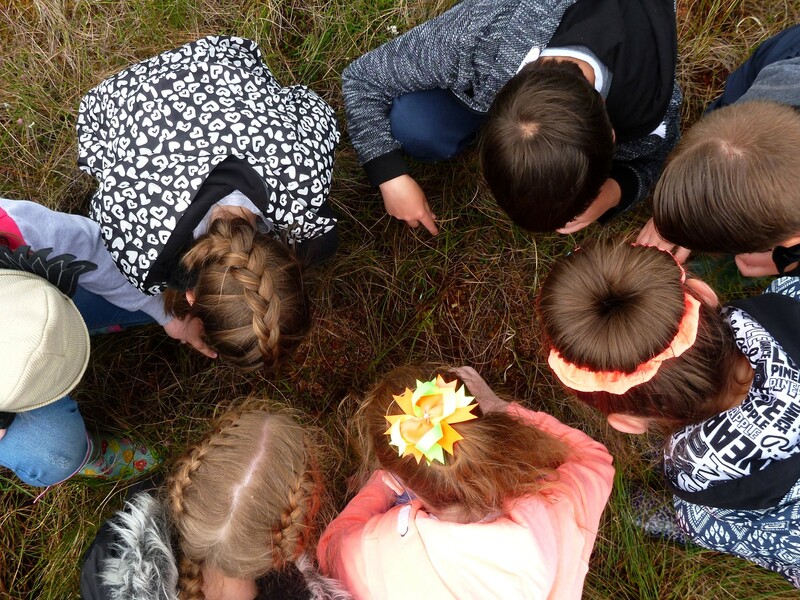 After the introductory sessions pupils of New Cumnock, Barshare and Auchinleck Primary were taken to the remote wildlife haven of RSPB Airds Moss in Muirkirk to find out what a peatbog is really like and discover what unusual plants and animals live there. 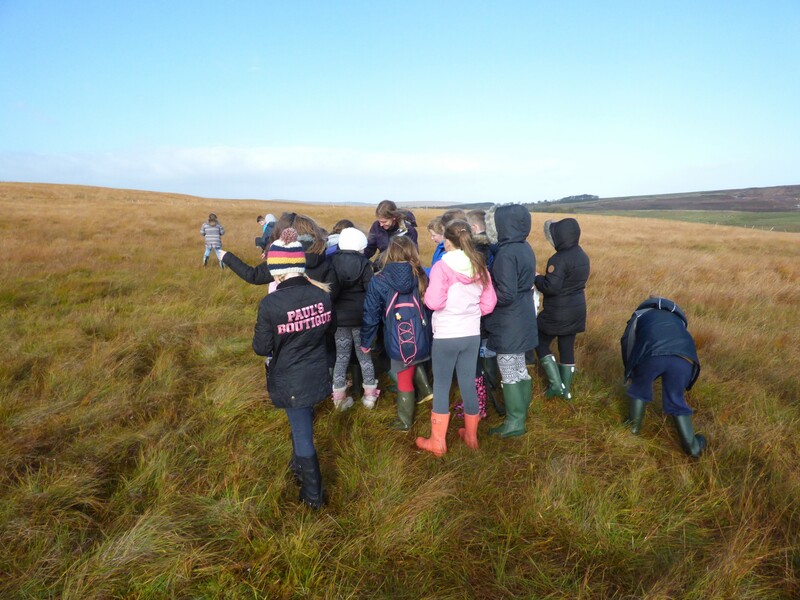 Pupils enjoyed being explorers for the day and took part in fun activities such as smelly potions, the habitat game, bounce on a bog and squeezing sphagnum moss! Did you know that the peat under the bog is made up of almost 90% water? Children also learnt about the darker history of the reserve reaching back to the 17th century when a group called the Covenanters were killed in the Battle of Airds Moss! 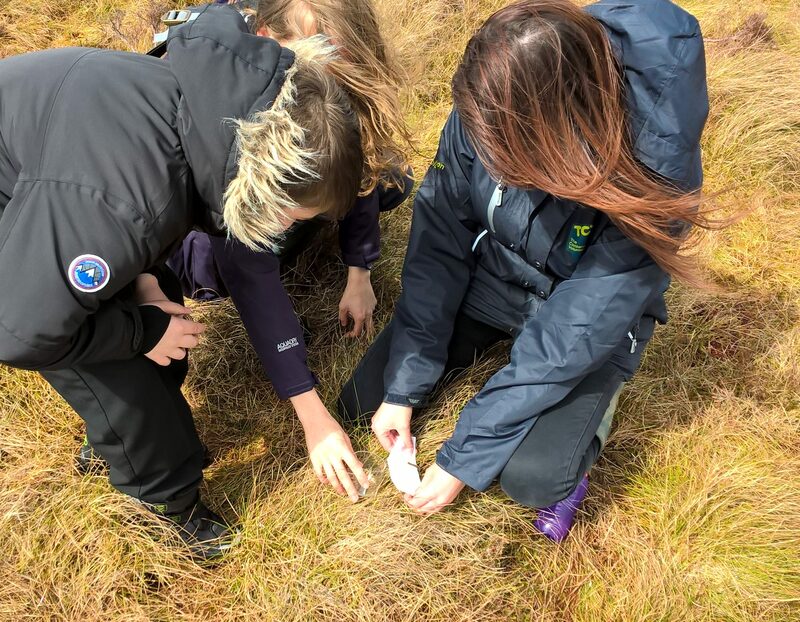 21 enthusiastic explorers from Muirkrik Primary ventured onto the exposed heather moorland of Cairn Table in Muirkirk and learnt about the Hen harrier’s habitat, with the help of Katy Saultie from RSPB Scotland and TCV’s Trainee’s Jenny and Carolyn. They did an excellent job of practising their bird watching skills using sight and sound as well as understanding the problem of habitat loss and fragmentation for the Hen Harrier by playing the Habitat Game! 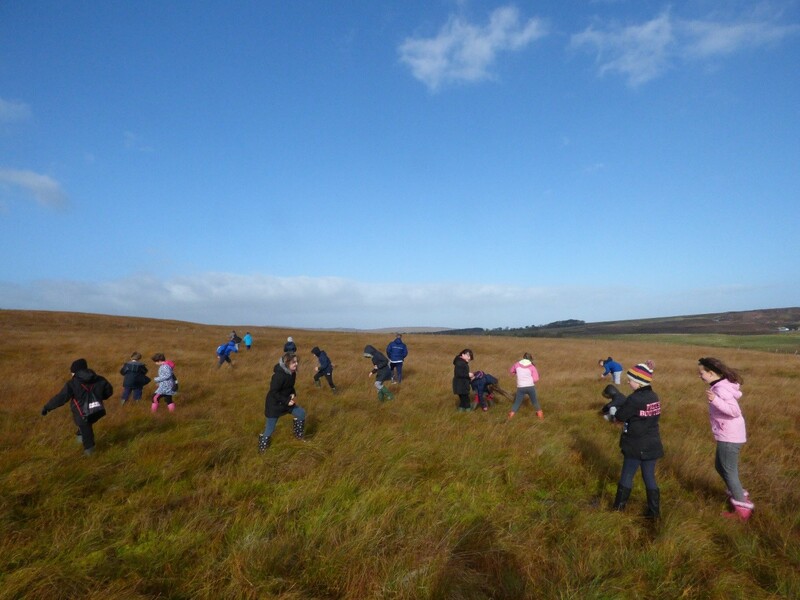 17 sundew enthusiasts from Patna Primary put their plant identification skills to the test on the beautiful SWT Dalmellington Moss peatbog, with the help of SWT Rangers Harry and Lindsay and GSA Biosphere Nic Commbey! With eyes to the ground it wasn’t long before they spotted their star species and, using their spotter sheets, discovered the reserve had both Round leaved Sundew and Great Sundew! 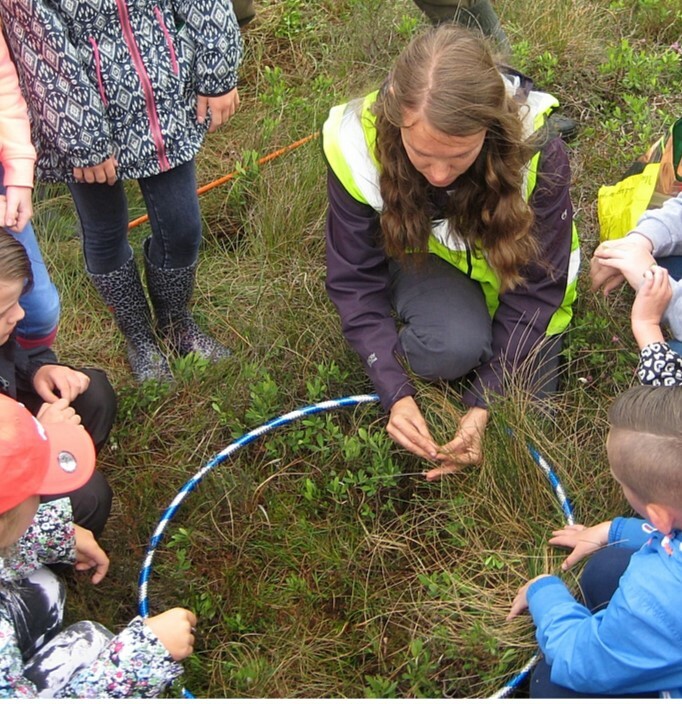 Using hula-hoops they were then set to the challenge of trying to find 7 other equally unusual bog plants such as bog myrtle, cranberry, cotton grass and bog rosemary – and they succeeded spectacularly in doing so!